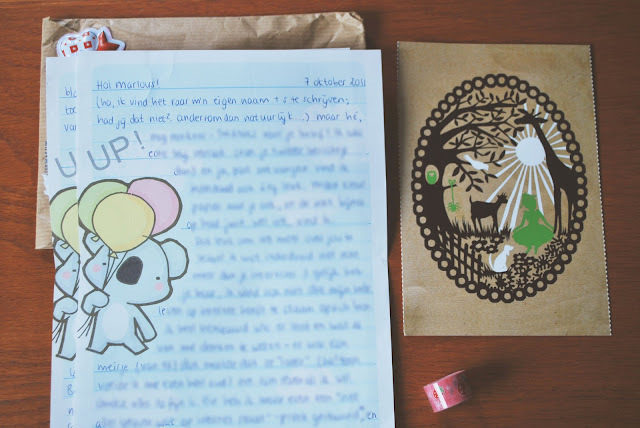 Although this isn't really an entry for my project (I sent Marlou a letter last week because I love her blog and I know she is also really into writing letters and stationery) I really wanted to show you guys what I got. Now you also know what happens with your mail! I received this beautiful handwritten letter (I love her handwriting!) 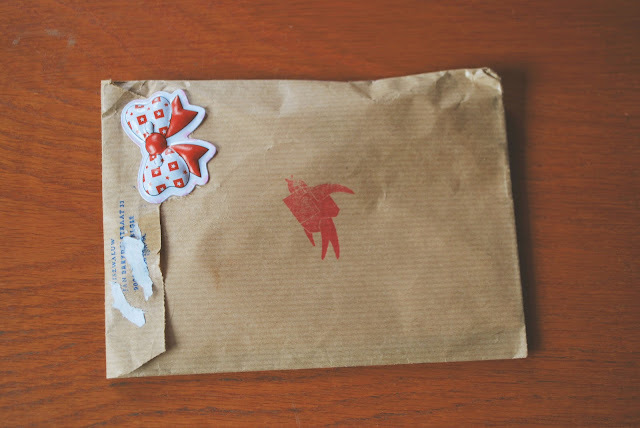 on really cute stationery, a lovely postcard and super cute deco tape. She used a kraftpaper envelope which makes me really happy. I love kraftpaper but I have no idea where I can get (cheap) kraftpaper.. Anyway Marlou, thanks so much! Super leuk! Lijkt me heerlijk om brieven te ontvangen. Doet me denken aan mijn penvriendin van vroeger!